Earlier this week I created a tenant in HobbitCloud for a friend with his own development company. He needs to leverage the power of Infrastructure-as-a-Service, but is unwilling to move to the public cloud for all his workloads just yet. However, now that HobbitCloud is accessible externally, it was clear I had to increase security. Note: the following is based on Jon Schulman‘s awesome work which can be found at https://blogs.vmware.com/management/2016/02/configuring-vra-7-for-2-factor-authentication.html. However I’ve been working with RHEL/CentOS for years and do things a little differently – namely use SSSD for domain authentication. With an extensive background in managed services, I’m used to implementing solutions based on RSA SecurID. However, my platform licence has expired, and a replacement is quite frankly prohibitive. It was clear an alternative solution was needed. I won’t wax on/wax off about the product as I’m sure you’re capable of Googling it for yourself. However I need to explain what I required from it. The platform consists of two sites – the primary based in Utrecht, Netherlands; the secondary in Southport, United Kingdom. There is an Active Directory root domain (mdb-lab.com), and each physical location has their own Active Directory child domain and site. For redundancy I’ll be deploying two Google Authenticator boxes in Utrecht and one in Southport. All three boxes will be in the mdb-lab.com domain. There are numerous way to get Linux (in this case CentOS) to interact with Active Directory, some more “pure” than others. In the olden days (RHEL4/5) it used to be Winbind, but even back then I preferred to use native methods like LDAP and Kerberos. Unfortunately these are quite complex to setup… that is until the System Security Services Daemon came along. If they’re not, don’t bother proceeding until they are. Remember to use the IP address that Freeradius will actually see – in my case that’s a NAT’d address as both View and vRA live on subnets behind a pair of F5 load-balancers. Note: changing Freeradius to run as root instead of chrooting it under its own account will most likely make your security team freak. I will come back to this at a later date. Edit /etc/raddb/sites-enabled/default, search for “pam” (use ? in vi) and uncomment the line to enable PAM. Don’t start the service just yet. For redundancy we will be using two radius servers. However both boxes must be able to read the home directories on each server. There are a number of ways to achieve this (eg. NFS home directories using Autofs), but the simplest way is just to replicate the home directories from the primary to the secondary using rsync. The above instructs rsync to copy the home directories from the primary to the secondary server every ten minutes and to preserve file ownership and permissions. Finally, create the file /root/pwfile and add the password you specified in /etc/rsycnd.secrets on the secondary. Configure your VMware sites for radius authentication. Refer to the official documentation on how to do this. Next we need to create the Google Authenticator tokens on the primary. To make the token look professional in the app and to avoid giving away too much information (such as server names), we need to add a couple of switches. This creates the token and will appear in the app using a generic name (in this case HobbitCloud) instead of the actual server name (which you will not want to expose). The process for importing the token is pretty simple, but if you aren’t sure then Jon’s article (link above) details the requisite steps. Once the token has been created, this will be replicated to the secondary using rsync within the next ten minutes. To begin testing, SSH to both the primary and secondary servers using the domain account you created the token for above. This will validate domain authentication is working as expected. If logon fails, check for errors in /var/log/secure. 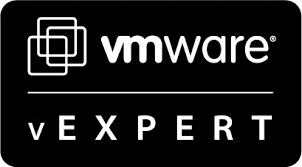 Logon to your chosen VMware application using the domain account, password and Google Auth code. Any errors on should be displayed immediately on the primary. If successful, and you have configured the secondary in your VMware applications, stop Freeradius on the primary and try authenticating again. You should see output on the secondary only this time. You can examine https://www.kaplansoft.com/tekradius/Docs/Google-Authenticator.pdf for a Windows based implementation for Google Authenticator with RADIUS.